On this day 170 years ago, the great state of Texas declared its independence from Mexico. I dare you to read the entire declaration. Its kind of scary to read it and think about its relevance in the year 2006. Maybe we need to have another convention. 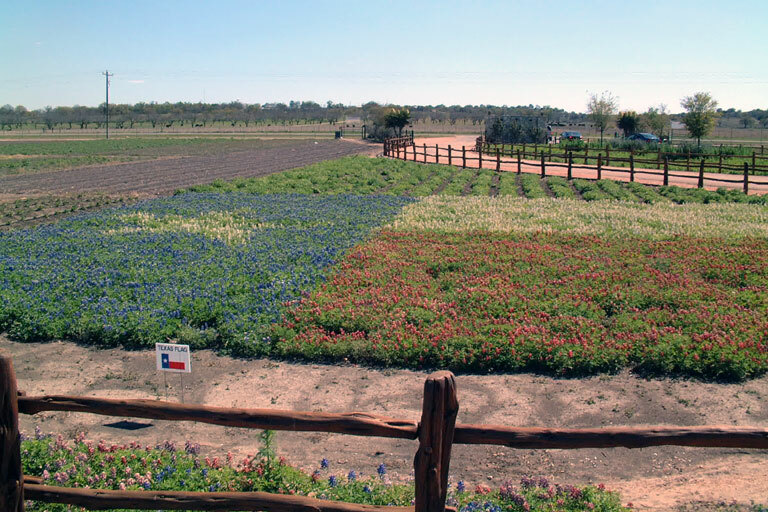 I'm wondering, do normal people plant wildflowers in the shape of their state flags, or is it just something Texans do? 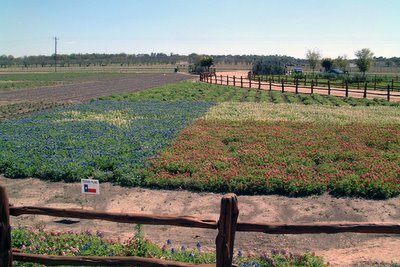 Anyway, happy birthday Texas. I will always "Remember the Alamo"
Since we're the only state that has been an independent nation, I think it is perfectly normal Texas behavior.